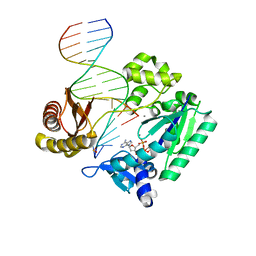 Authors: Patra, A., Politica, D.A., Stone, M.P., Egli, M.
Cite: Mechanism of Error-Free Bypass of the Environmental Carcinogen N-(2'-Deoxyguanosin-8-yl)-3-aminobenzanthrone Adduct by Human DNA Polymerase eta. Authors: Patra, A., Richert, C.
Cite: High fidelity base pairing at the 3'-terminus. Authors: Patra, A., Egli, M.
Cite: Structure, stability and function of 5-chlorouracil modified A:U and G:U base pairs. 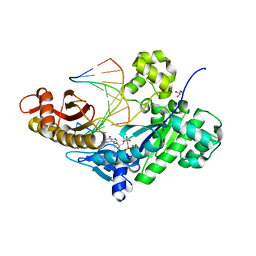 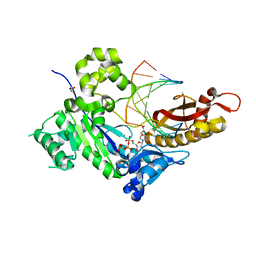 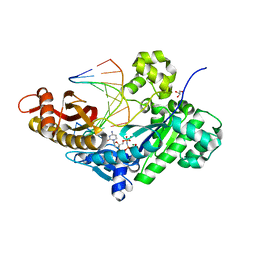 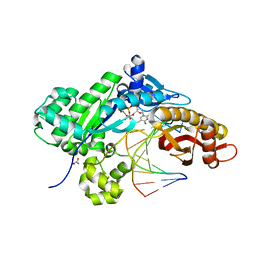 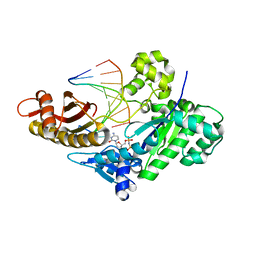 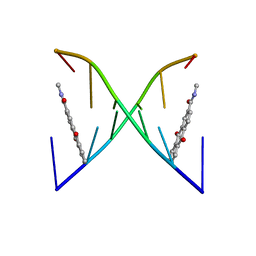 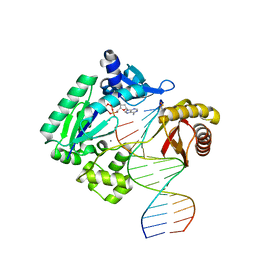 Cite: Structural and Kinetic Analysis of Nucleoside Triphosphate Incorporation Opposite an Abasic Site by Human Translesion DNA Polymerase eta. Cite: Structural Basis for Error-Free Bypass of the 5-N-Methylformamidopyrimidine-dG Lesion by Human DNA Polymerase eta and Sulfolobus solfataricus P2 Polymerase IV. 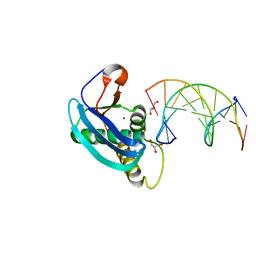 Authors: Patra, A., Banerjee, S., Stone, M.P., Egli, M.
Cite: Structural and Kinetic Analysis of Miscoding Opposite the DNA Adduct 1,N6-Ethenodeoxyadenosine by Human Translesion DNA Polymerase eta.